Produced by traditional methods of metalwork and decoration: silver stamping, forging, metal processing, hand engraving. 100% handmade silver collectible cossack checker. The handle is made of buffalo horn. 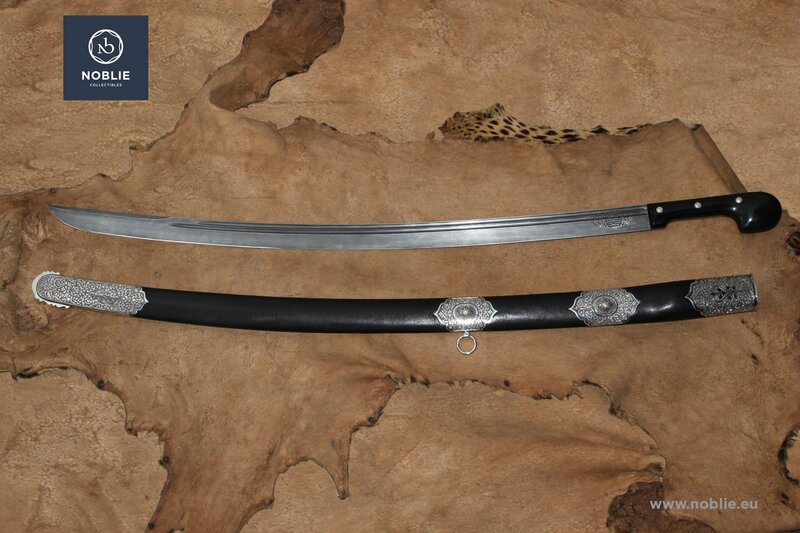 The scabbard is made of silver, wood and black leather, with additional decoration of hand engraved ornament. Handmade luxury wooden box. Two pairs of demonstrative gloves in the set.